Opposition to cannabis has come from an unexpected place in recent days — blue-state America. Thus far, the states which have legalized pot all lean left, or at least center-left. Hence, it may have come as a surprise when legalization efforts faced roadblocks in two key blue states: New Jersey and New York. In New Jersey, the governor wants to grant legal status to cannabis. However, lawmakers canceled the vote since it does not appear to have enough support in the State Senate. New York faces obstacles in the state capitol and several localities. Governor Andrew Cuomo has indicated that he will miss the deadline to include it in April’s state budget. Moreover, many counties, some which encompass metro New York City, have expressed interest in opting out of legalization. Innovative Industrial Properties (NYSE:IIPR) stands out among other marijuana stocks by acting as a real estate investment trust (REIT). It earns revenue by owning greenhouses in industrial space and renting them out to growers. Also, due to its REIT status, it offers a dividend, something that most other marijuana stocks typically do not offer. Moreover, the company hiked the quarterly dividend to 45 cents per share last month, a yield of around 2.25%. However, with legalization efforts in New York tied off, IIPR stock could face setbacks. The company owns 13 properties total, two of them located in New York state. This comprises just over 15% of its total property. Interestingly, the San Diego-based firm owns more property in New York than in its home state of California. The company likely bought these properties in anticipation of legalization. Still, with both hemp and medical marijuana legal, it could pivot into those industries. Also, at a forward price-to-earnings ratio of 28.6, it trades at a lower multiple than other marijuana stocks. However, investors could still punish it in the near term for its relatively large stake in New York. Until New York’s state government provides more clarity, investors should probably avoid IIPR. The public may know Acreage Holdings (OTCMKTS:ACRGF) best for its group of backers. Its Board members include prominent politicians such as former Massachusetts Governor Bill Weld and former Canadian Prime Minister Brian Mulroney. Former House Speaker John Boehner, who was once an opponent of marijuana, also sits on the board. It may need this political firepower as it contends with its presence in both New Jersey and New York. New Jersey is home to its 135,000 sq. ft. cultivation facility. It also partnered with a licensed alternative treatment facility in the state, presumably on the assumption that New Jersey would legalize. In New York, it runs four dispensaries and a 70,000 sq. foot cultivation facility. Trading at 195 times sales, the market prices it for perfection. Before this news came out, analysts had expected Acreage to turn a profit next year. They also predicted that revenues would rise by 115%. Now, with the status of weed in question in both states, investors may become wary. Also, it has only traded on the OTC markets since November. After briefly plummeting to $12 per share in December, it has settled at about $22 per share, not far above its IPO price. Acreage may benefit later from its substantial political influence. However, with its sizable presence in these states and its failure to move higher in its brief history, investors should stay away from ACRGF stock for now. MedMen (OTCMKTS:MMNFF) describes itself as the “standard bearer” of the legal cannabis industry in the U.S. It owns facilities for cultivation, manufacturing and retail in five key states. Unfortunately, one of those states is New York, where it runs three dispensaries. MedMen also intends to buy PharmaCann, a private company that was awarded licenses to operate four dispensaries and a 128,000 sq. foot production facility in New York. MMNFF stands as an OTC stock trading at about $3 per share. However, it boasts a market cap of just under $1.5 billion and a price-to-sales ratio of 16.9. This multiple appears quite reasonable compared to other marijuana stocks. Analysts also forecast triple-digit revenue growth and possibly, a positive net income next year. However, a political setback in New York could delay that move to profitability. It also lessens the appeal of the PharmaCann merger, which both companies first announced in October. Given these doubts, investors should probably not buy until they see a clearer path in New York state. Delay or denial of legalization will profoundly affect all of these stocks. However, once these issues become old news, the stock could also benefit from the delay. The experience with marijuana stocks in Canada may serve as a lesson in this instance. Following legalization, a “sell the news” effect took place, and most cannabis equities plunged over the next two months. I have previously speculated that marijuana stocks would eventually become so-called “sin” stocks similar to Altria (NYSE:MO) and Constellation Brands (NYSE:STZ). Such equities tend to become dividend payers with low P/E ratios, drawing a much different type of investor. 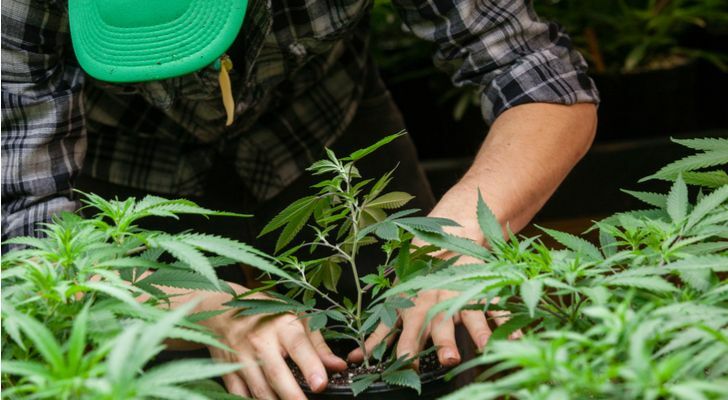 These legal setbacks could actually postpone such a fate, adding to the appeal of marijuana stocks, even the ones with a presence in New York and New Jersey. Hence, investors should not only seek to understand the short-term effects but also learn to look beyond them. Article printed from InvestorPlace Media, https://investorplace.com/2019/04/3-marijuana-stocks-delay-legalization/.